Before I get going here, Sarah insisted that I make it abundantly clear that these are some of the first minis she ever painted. 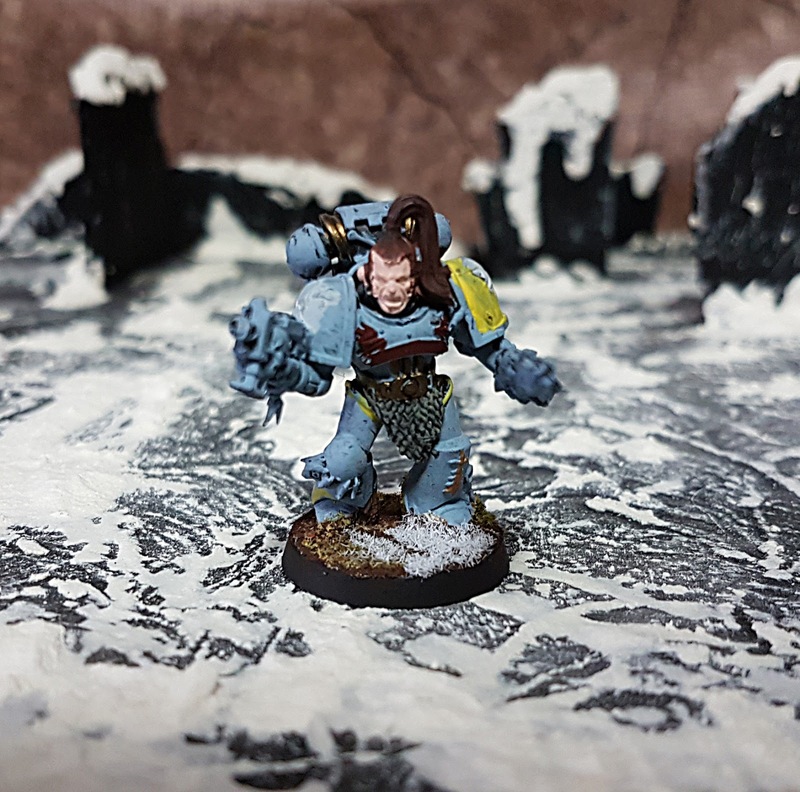 Based off of a handful of old Space Wolf minis I grabbed and then never finished, Sarah took them, assembled them and finished them up. 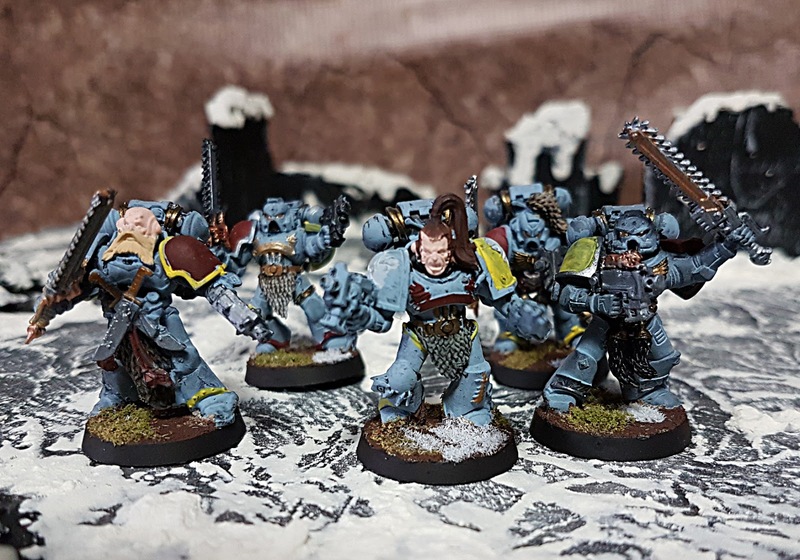 And so it formed the first Grey Hunter squad she ever finished. 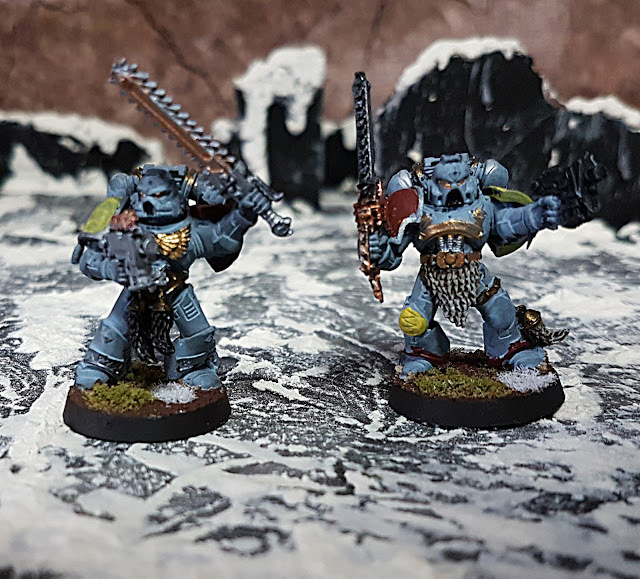 For a first go at painting minis I think Sarah did a fantastic job on these guys. It takes years of practice and study to get to a point where you are really happy with your paint jobs, and from a table perspective these guys look great. The colours are solid enough that you can tell the different parts of the mini and vibrant enough that they stand out. Sure the lines aren't neat and not everything is painted as she would today but these things take time and as you can tell she has put in the effort going forward and has and greatly improved. Out of all 5 of these guys, the one on the left in this picture is absolutely my favourite. I think it is the most solid paint job, and the pose looks mean: Just like a Space Marine should look. I think another lesson to take away here is just how much a decent basing job perks up a mini. 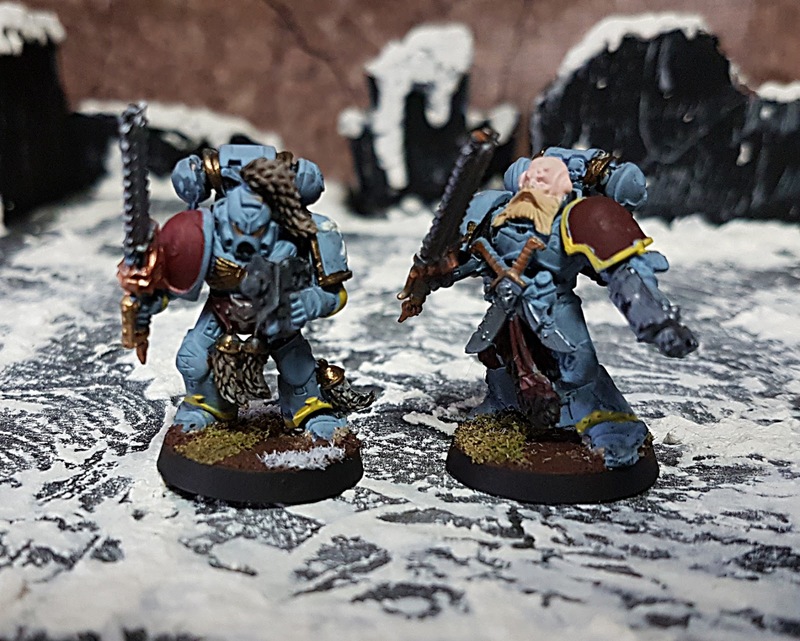 With the combination of painted sand to look like dirt, grass and snow, these Space Wolves really look like they belong on their homeworld of Fenris. So despite these not being the best minis in her collection I think they are something to be proud of to show how far she has come, and that she clearly had some natural talent to begin with.